Tongues they are a-waggin’ about what’s been going down behind the scenes at MarthaStewardess.com. It’s been the talk of every crew lounge from Boise to Beijing, so let me set the record straight – there has indeed been a shake-up here at Martha HQ. No one’s quite sure what happened to the old Martha, but that hasn’t stopped the flurry of conjecture on the interwebs. Some say she left a trail of mini-liquor bottles all the way to Betty Ford, where she’s checked herself in indefinitely. Others say she ditched Chip and hightailed it to the Middle East with a highfalutin bazillionaire. 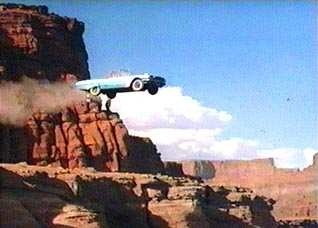 Still others, no doubt alarmed by her final cryptic Facebook post, speculate she and Chip took one final road trip, and subsequently Thelma and Louise-d themselves off some dusty south-western cliff. We may probably never know the truth. But we do wish that she is happy in whatever fabulous form the next stage of her life takes. Thank-you Martha, for years of faithful service rendered. We, my dear, collectively salute you. Hello possums. I’m Martha. And this is my life partner Chip. I’m the new Martha. And while I would never presume to fill the fashionable (yet practical) shoes and immaculately pressed uniform of our previous matron, I will attempt to give it that good old college girl try. I’d also like to make some changes around here. Tidy the cabin up a bit so to speak. While Chip and I will still bring you the latest buzz on things airline- and airport-related, you’ll start to see more original posts on here too. 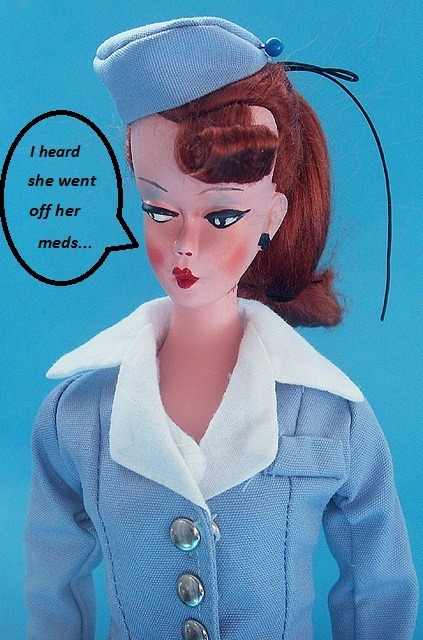 Filled with all the humor and wry observation that only a jaded flight attendant can muster. So I do hope you remain in your seats, buckles firmly fastened, and enjoy the ride. Living at 34,000 is going to be a heckuva lot of fun. If you haven’t already, join Martha on Facebook and on Twitter. She loves to gossip over there too. …….Thanks for taking the time to continue this fun/informative site. One that I’ve bookmarked because it’s entertaining. Pls, could you keep the News feed. I’ve used it as a resource to check on the industry news. thanks. wish you much success, ENJOY THE JOURNEY. Thanks Frank! I am investigating bandwidth issues, so please bear with me. I hope to get the news back soon!